On this cold, snowy, wintry day we are unfortunately closed to stay at home safe and sound from the snow and ice (as we hope you all are as well!) 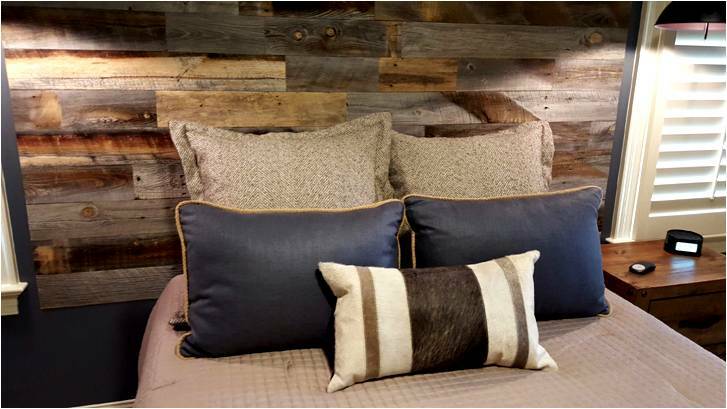 however, we thought a cozy, rustic inspired room with an industrial and masculine edge would be the perfect eye candy to view from your ipad, from your couch, while flakes are falling all around us outside to get some inspiration and ideas churning. 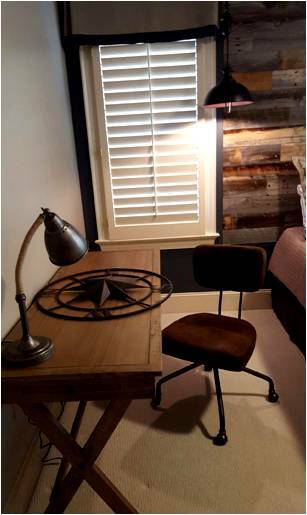 This incredibly interesting space full of rich textures and custom details was designed by one of our talented interior designers in coordination with one of her clients for a teenage boy’s bedroom. 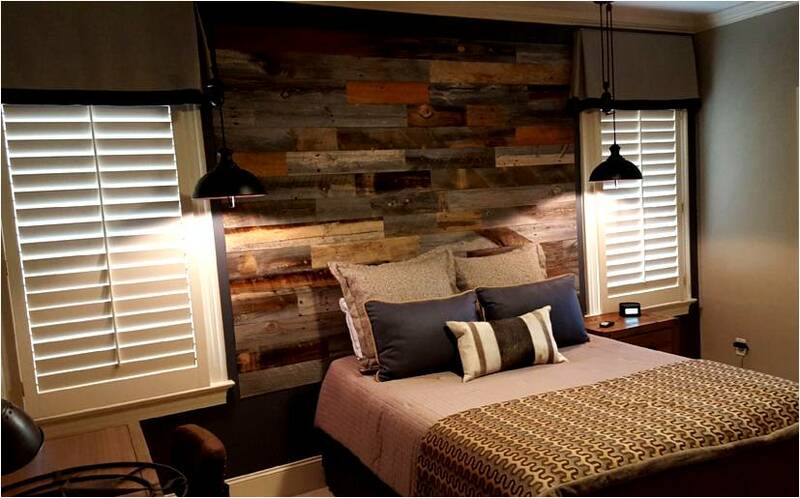 In order to update the space from its previous Carolina blue and boyish glory to a space that felt “grown up”, refined, put-together, tailored, masculine, and yet, still unique, distinctive, and edgy the idea of rustic meets industrial seemed to be the perfect fit. Slubby linen textures, tweeded herringbone, steely blues, layers of grey toned neutrals, distressed brown leather, jute trims, patterned cowhide accents, crisp box pleats, industrial lighting, and that show stopper of a focal wall make this room feel like an appropriate space for any teen boy and feels versatile enough that it could be a space that they could feel proud to return to, years down the road, from college and not one that evokes childish embarrassments (you know we have all been there!) All of the fabrics and trims featured in this space (minus the coverlet at the end of the bed) are all designer fabrics a la Front Door as well as the cowhide accent pillow and industrial desk lamp and everything from the concept to the wall color selection to the details on the textile execution are courtesy of one of our very own talents. Do you have a teen in your household that is longing for a cool, hip space to hang out and call their own? Let us help you think out of the box to dream up a space unique to them and versatile for you!